from the BBC programme Front Row, 31 October 2008. 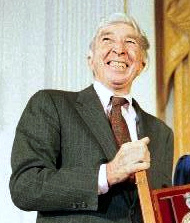 ↑ 1.0 1.1 1.2 1.3 1.4 1.5 1.6 "American Centaur: An Interview with John Updike". The New Yorker.